The RWC100 takes you far beyond typical LAN and Cable testing. 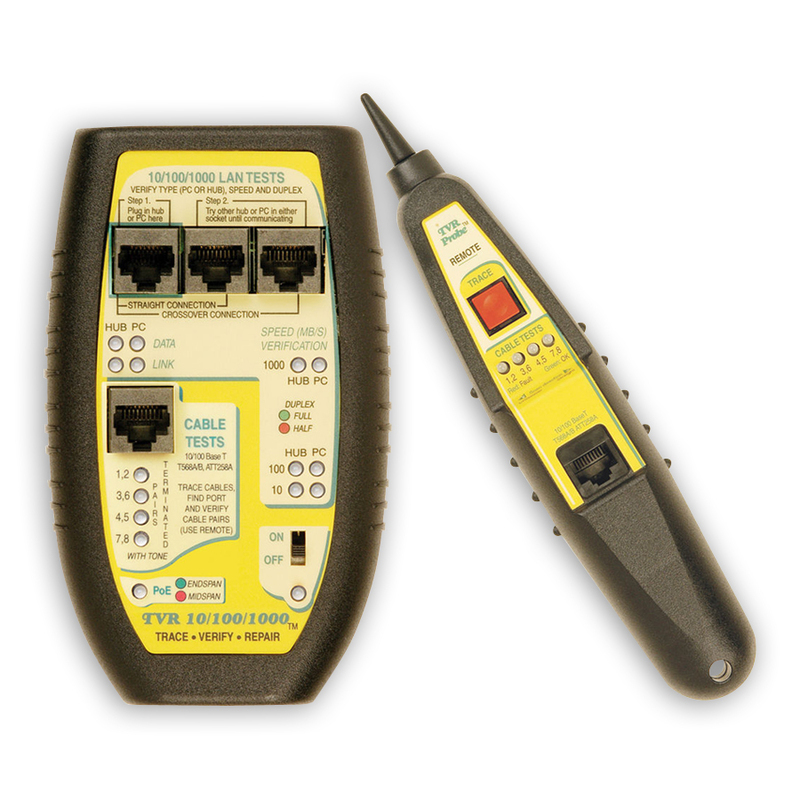 Now you can perform all of your standard cable tests plus "Type" your cable (CAT 3, 5, 5E, 6) and perform real speed tests on cables, switches, hubs, and PCs. With results displayed on easy-to-read graphs! Plus, store the test for later printing. 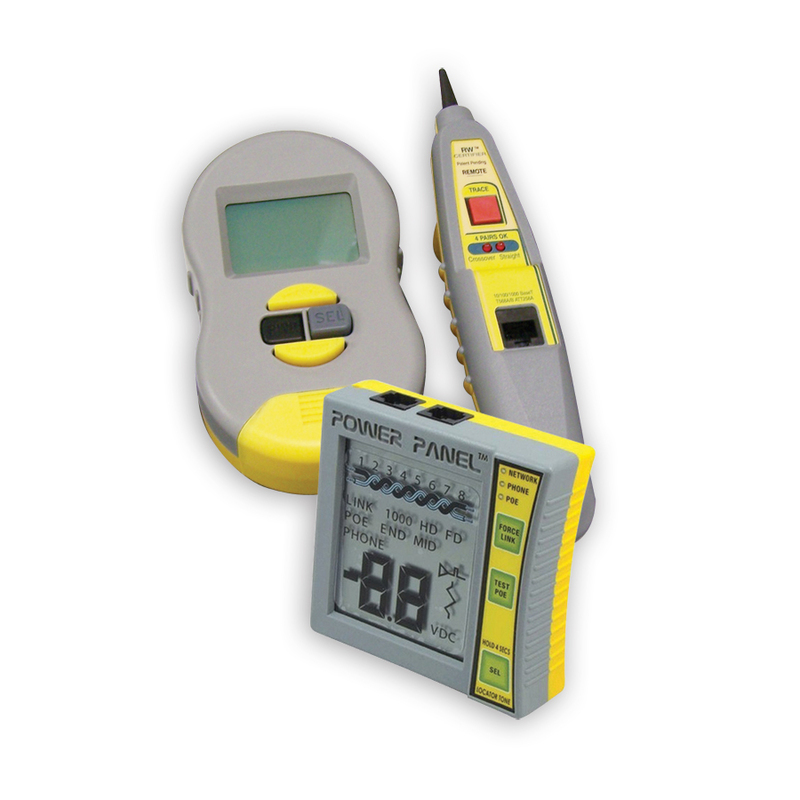 - Displays Port speed, duplex, data level of all pairs, etc. - Performance certify and troubleshoot all LAN hardware and cabling. - Compatible with all 10MB, 100MB, and Gigabit Networks! 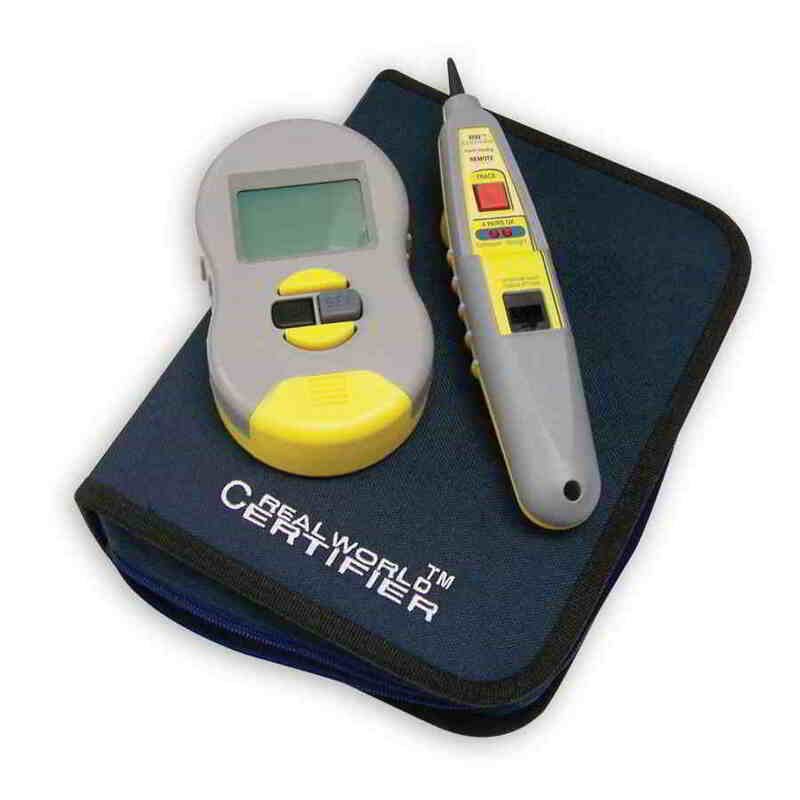 - Detect worn connectors and faulty terminations. The only kits that handle both the cable and power! We have combined the powerful real world certifier with your choice of a power panel Cat5/6 DVM to give your tool kit incredible capability at a great price. Test, verify and repair 10, 100, and 1000 Base-T Networks! The latest model supports all network speeds plus displays and half duplex. Go inline between two LAN devices and see if the negotiated speed and duplex is what you expect! The TVR10/100/1000 answers the 10 most common question occurring during the repair and install of 10, 100, 1000 Base-T LANs. - Verifies if PC is ON, if it appears as a PC and speed capabilities and Duplex. - Verifies if hub/switch is ON, if it appears as a hub/switch and speed capabilities and duplex. - Goes inline between two devices to verify the negotiated speed and duplex of the link. This powerful features is found on testers that cost 1500 or more! - Verifies hub/switch to hub/switch data transmission. - Checked if straight thru or crossover patch cable is required. Cable Testing. The following tests are performed by the TVR10/100/1000 Main Unit and Remote Unit (except where indicated). - Test connection to hub/switch (pairs connected to hub/switch). - Remote Probe helps locate and trace inactive cables. - Remote Probe traces active cables connected to hubs/switches and PC without interfering with LAN performance.